PITTSBURGH — Monet Spencer remembers traveling to affluent suburban high schools when she was a member of the marching band at Brashear High School in this city’s low-income, high-crime Beechview neighborhood. The suburban band members’ uniforms were brand new, Spencer noticed — not passed down and worn-out like hers. So were their instruments, unlike the scratched and tarnished castoffs her school loaned her and her bandmates, including the secondhand flute she played. 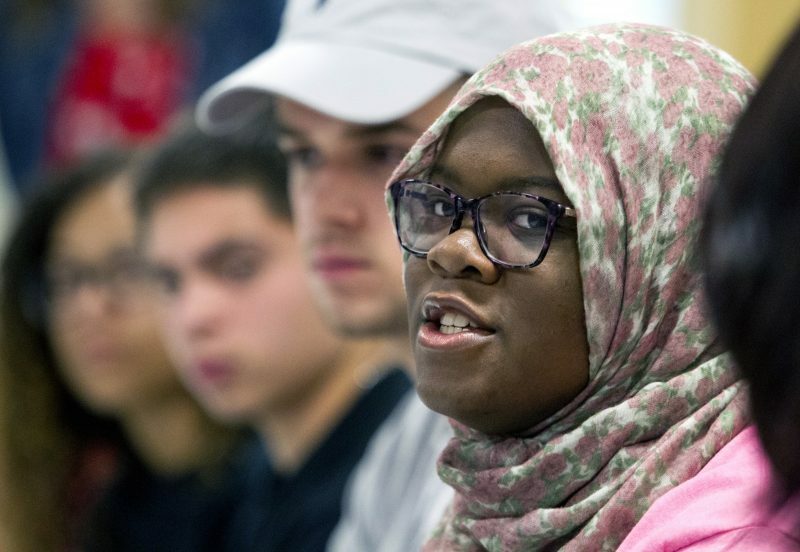 The experience sticks in her mind as a symbol of the gulf between the opportunities she had compared to those enjoyed by students living in the suburbs just a few miles away. “Everyone knows they’re treated differently,” said the soft-spoken Spencer, 19, who was left homeless when her mother died but continued taking herself to school and is now entering her sophomore year in college. Here’s the latest, more profound way in which wealthier students have an advantage over lower-income ones: Those enrolled in private and suburban public high schools are being awarded higher grades — critical in the competition for college admission — than their urban public school counterparts with no less talent or potential, new research shows. It’s not that those students have been getting smarter. Even as their grades were rising, their scores on the SAT college-entrance exam went down, not up. Nor are those in some schools more intelligent than those in others. It’s that grade inflation is accelerating in the schools attended by higher-income Americans, who are also much more likely to be white, the research, by the College Board, found. This widens their lead in life over students in urban public schools, who are generally racial and ethnic minorities and from families that are far less well-off. 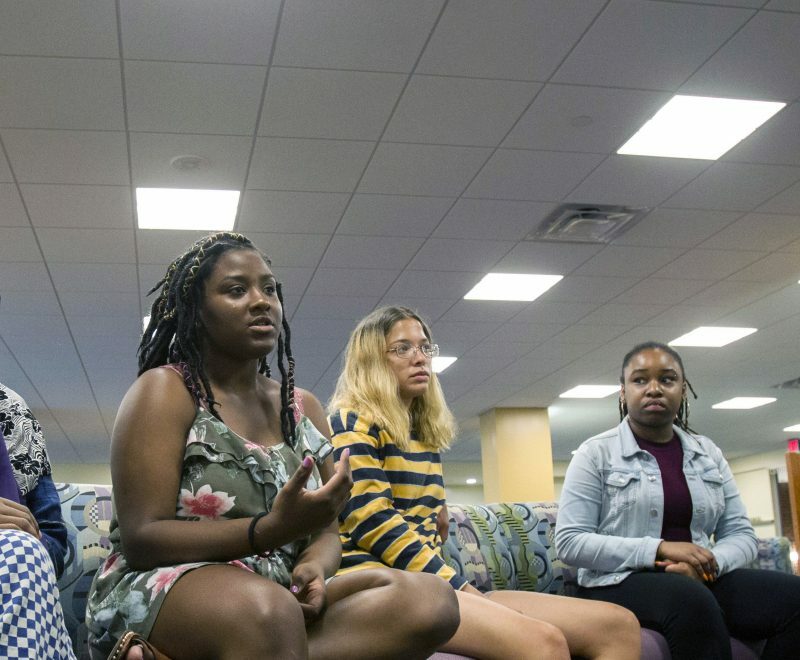 “This is just another systemic disadvantage that we put in front of low-income kids and kids of color,” said Andrew Nichols, director of higher education research at The Education Trust, a nonprofit advocacy organization. The grade-point average of students at private high schools who took the SAT climbed between 1998 and 2016 from 3.25 to 3.51, or almost 8 percent, the College Board found in research to be published early next year. 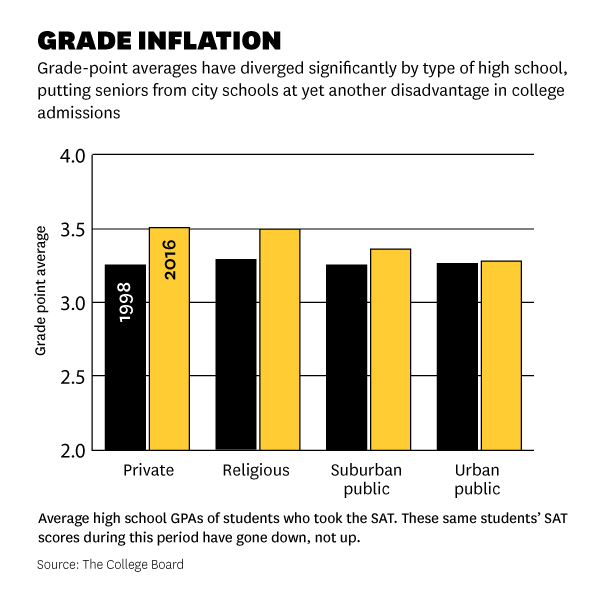 In suburban public high schools it went from 3.25 to 3.36. In city schools, it hardly budged, moving from 3.26 to 3.28. Troubling, but not surprising, said Richard Weissbourd, director of the Human Development and Psychology program at the Harvard Graduate School of Education. All of this throws up yet another barrier in front of urban public high school students, who already face an obstacle course of challenges to getting into college. GPAs rose from 3.25 to 3.51 from 1998 to 2016, for students in private schools who took SATs; for those in city schools, GPAs stayed almost flat. Some institutions adjust for this. Universities and colleges that recruit in limited areas of the country usually enroll enough graduates from particular schools to gauge the relative accuracy of students’ GPAs, said Ballinger. But many admissions offices don’t have the resources to do that level of analysis. Even if they do have the capacity to look more deeply into the records of students whose grades may not reflect their effort or intelligence, universities are rewarded by college rankings for accepting applicants whose GPAs are highest. That’s only one of many ways in which the cards are stacked against the graduates of urban public schools. “We’ve been giving these students the short end of the stick for a long time,” said Nichols. Many of those rankings use a formula that also factors in SAT scores, for example, prompting colleges to favor students from private and suburban high schools whose families can afford test-preparation services. Wealthier schools are more likely to have college-preparation courses, too. Just under 90 percent of the wealthier districts in a study of the nation’s 100 largest school systems by the Center for Law and Social Policy offer calculus, for instance, compared to 41 percent of high-poverty schools. Urban students are also more likely to come from low-income homes and have parents who did not themselves go to college and don’t know how to navigate the complexities of the application and financial aid processes — or the credential-building that precedes them. That leaves these students more dependent on their college counselors. But according to the National Association for College Admission Counseling, the typical college counselor in a public high school is responsible for 358 students — more than in private schools (323 students) and far more than the ratio recommended by the American School Counselor Association (250-to-1). The caseload rises to 510 students per counselor in the largest schools, many of them in cities. One in five high schools has no counselors at all, the U.S. Department of Education’s Office for Civil Rights found. And counselors in public schools report spending less than half as much time on college advising as their counterparts in private schools. Students in schools that serve low-income populations even get less instruction time, a new study by researchers at UCLA suggests. It found that students in high-poverty high schools in California spend the equivalent of nearly 10 fewer days a year learning than their more affluent counterparts, because of emergency lockdowns, teacher absences, testing, a lack of computers and noisy or dirty conditions. “It’s a terribly uneven playing field,” Weissbourd said. Disadvantages like these and others mean that students from the lowest-income families today are roughly nine times less likely to earn bachelor’s degrees by the time they’re 24 than students from the highest-income ones, according to the Pell Institute for the Study of Opportunity in Higher Education. 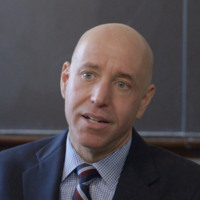 Nichols, at The Education Trust, suggests that college admissions officers adopt a “socioeconomic index” that gives extra points to applicants who come from certain socioeconomic backgrounds or types of high schools, to offset the effects of grade inflation in the places where the wealthiest and whitest students go. But he acknowledges that this is hard to do, considering the emotions involved in parents’ aspirations for their children — even when they know that trying to get an edge for their kids may result in inequitable treatment for other people’s. 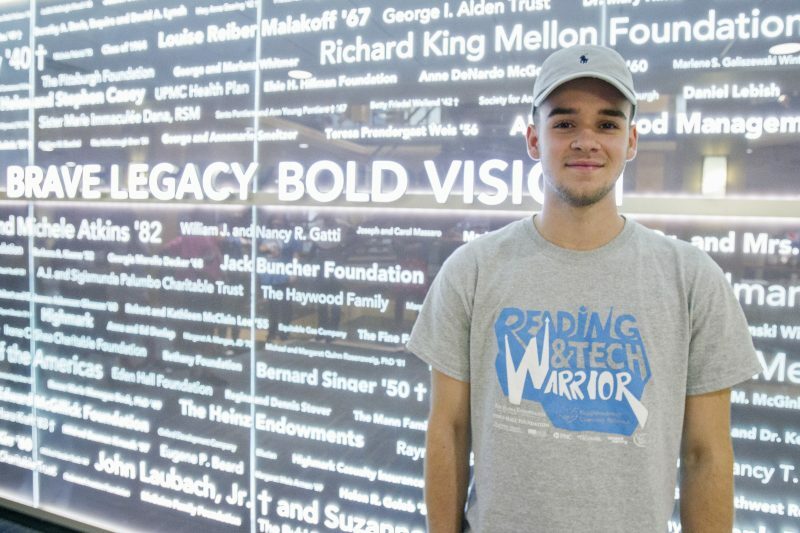 Back at the Neighborhood Learning Alliance summer program, another student, Josh Faust, said “it’s discouraging” to find that their counterparts in more affluent schools get higher GPAs than he and his classmates at the public Pittsburgh Science and Technology Academy, from which he graduated in the spring. “They have the same ability that we do, but get better grades just because of what high school they go to,” said Faust, 17, who is also about to enter college. 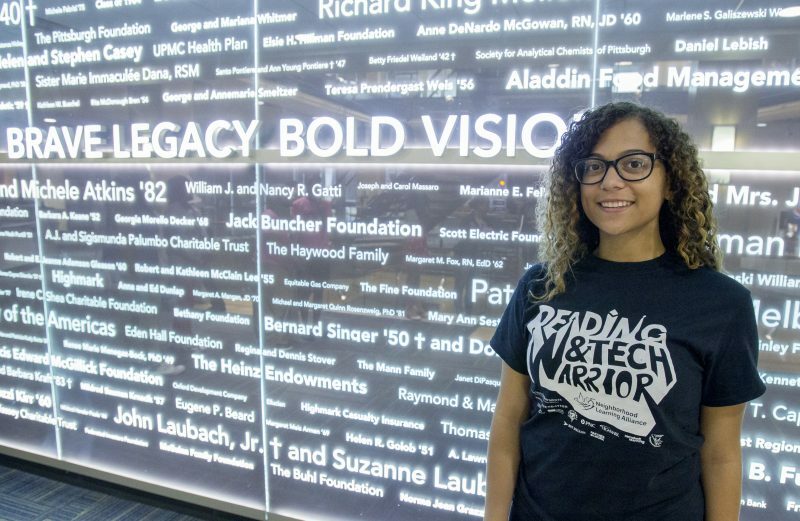 But Precious Jackson, 18, an incoming freshman planning to major in bioengineering at the University of Pittsburgh, said these hurdles only make her more resolved to overcome them. That’s what Shahada Ghaffar intends to do, too. A 16-year-old Pittsburgh high school junior, Ghaffar said she thinks many of her classmates are discouraged from even trying to get into the best colleges. 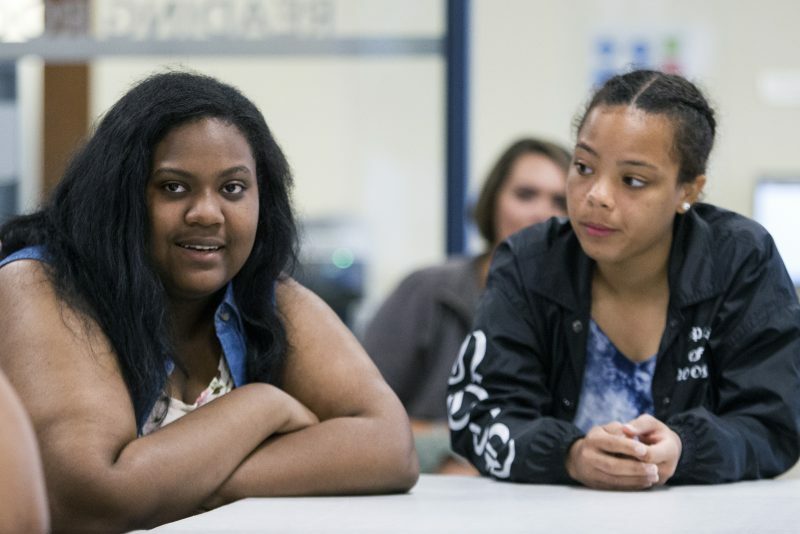 This story was produced by The Hechinger Report, a nonprofit, independent news organization focused on inequality and innovation in education. Sign up here for our higher education newsletter. Do you think this rise in grades has something to do with all the "tutoring" that is going on with upper middle class families? We've recently moved back to the States and to suburban Denver. When we arrived, we kept hearing our neighbors (and other school parents--in both elementary school and high school) talking about their kids "tutoring." We assumed this was tutoring to "catch up" but have since learned it's tutoring to get ahead or stay ahead. We're not sure if it's simply an issue with working parents not having time (or the ability) to help their kids with homework or if it's the part of the "race" to get into the "best" colleges--a race that appears to begin in preschool now. In any case, could it be that all this professional tutoring is actually enabling students to perform better on their school work (even if they don't perform better on the ever-changing standardized tests)? I agree with the central thrusts of the article: the problems with grade inflation and the challenges experienced in schools with inadequate funding, especially as their students seek to compete for admission to the best colleges and universities. And to the second commenter’s point about tutoring and its effect on grades: I’ve long felt that if I had received tutoring, especially in Math, it might have changed the trajectory of my life. But to the subject at hand, the data are not equally meaningful in all situations. For example, I believe the data mean different things in different places and circumstances. Experience tells me that the data will have different meanings in (pretty much) all-white Blackfoot, Idaho and hundreds of similar communities across the country as opposed to the meaning of the data for racially segregated communities in the larger cities. If colleges and universities uniformly apply some kind of socioeconomic index to applicants, will it work the same for farm kids in Nampa, Idaho applying to Idaho State as it means for inner-city students in Baltimore applying to Towson University? Would such a tool work for or against poor students in schools in small towns in Kentucky? I fear that such an index, like any tool applied to a broad spectrum of the population, will work against some and to the unintended benefit of others for whom it wasn’t envisioned. For this reason and others I would prefer to see schools look not only at grades, but standardized test scores, participation in activities, and family circumstances in order to see the whole applicant.